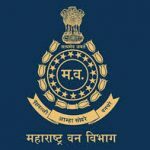 Maharashtra Forest Guard Bharti 2019: The Maharashtra Van Vibhag has officially released Maharashtra Forest Guard Recruitment 2019. All eligible candidates are required to apply online for this Maharashtra Forest Department recruitment 2019 by sending in their Online Application Form to the official website of the department. The Forest Guard Bharti 2019 is targeted at individuals who are seeking a govt job in Maharashtra. The Maharashtra Forest Department currently aims to recruit 900 capable candidates for the post of Van Rakshak in the Forest Department. If you are interested in this Maharashtra Van Vibhag Recruitment then we urge that you Apply Online by submitting your Maharashtra Forest Department Van Rakshak Online Application Form to the official website of the forest department before the last date on 3rd February 2019. This Van Vibhag Recruitment can be availed by all candidates who are 12th pass. Therefore this is the ideal opportunity for all the candidates who are seeking a government job after 12th pass. Check out all the details we have provided regarding the Forest Bharti Maharashtra 2019 which include details regarding the eligibility criteria, salary, and Important dates. So keep on reading for all you need to know about the Mega Bharti Forest Department Van Rakshak Recruitment 2019. Please note that if the category certificate provided do not support the caste mentioned then the age relaxation will not be applicable. Ensure that the documents to be submitted are all in favor of the details to be provided in the application form. Kindly check the official pdf attached to the article for more details on age limit and age relaxation. The Vanrakshak Bharti 2018-19 Maharashtra selection procedure comprises of 2 stages as mentioned below. Please note that along with these 2 phases the candidate would also need basic knowledge of computer. Please read the official pdf for more details. The Application Fees can be paid online through the official website of the Mahapariksha @ mahapariksha.gov.in. The Application fees can be paid via net banking, credit card or debit card. Please visit the official website @ mahapariksha.gov.in and click on “online application” then proceed to “Apply”. Candidates need to select the Vanrakshak Bharti 2018-19 Maharashtra link. 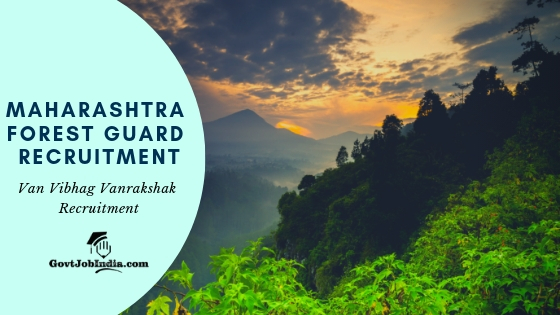 Once you register with Mahapariksha, you can proceed to apply online for the Maharashtra Forest Guard Recruitment 2019. Please ensure that all the details such as personal details, contact details, language preference, and education details are filled duly. Candidates should apply immediately for the amazing opportunity provided here by the Maharashtra Forest Department through the Maharashtra Forest Bharti 2019. Make sure you apply online before the final date on 3rd February 2019. You can ask us all your doubts in the comment section below. We are always here to help you.